Williamstown is a Seaside suburb in Melbourne's south west. With respectable working class roots, the football team was formed in 1864. The club has a long and successful record with VFA premierships in 1907, 1921, 1939, 1945, 1949, 1954, 1955, 1956, 1958, 1959, 1986, 1990 as well as second division premierships in 1969 and 1976. From the 1920's to the end of the 1930's the club strugged with eight finishes in the bottom four between 1925 and 1938 with only one finals appearance in those 15 years. This record was turned around in 1939 with the recruitment of big name VFL players such as Gordon Ogden (Melbourne), Eric Glass (Melbourne) and Harry Vallence (Carlton). This was followed by Ron Todd (Collingwood) in 1940 and Des Fothergill (Collingwood) in 1941. 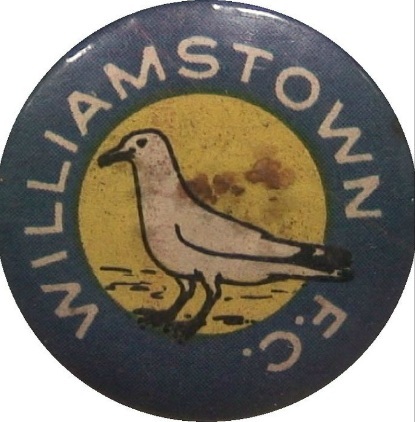 In 1938 Williamstown received the wooden spoon and in 1939 it won the premiership. Blue guernsey with a diagonal yellow sash.